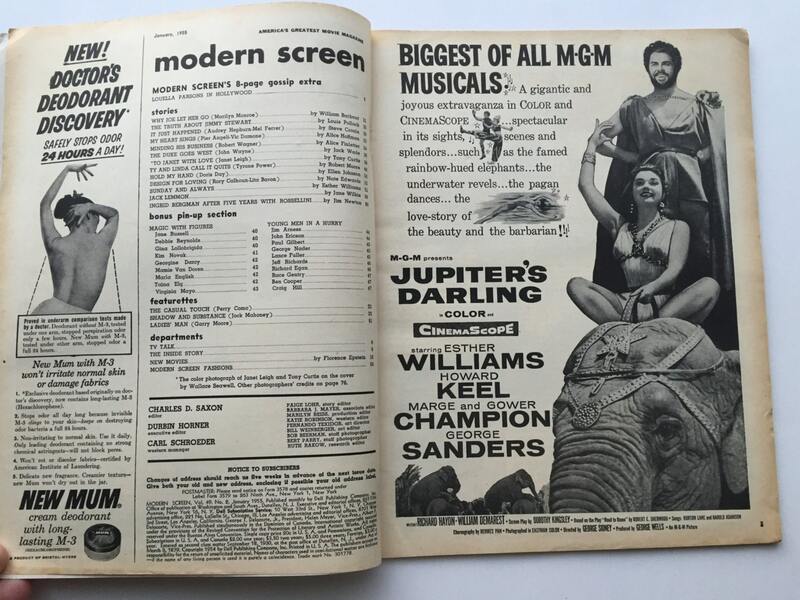 This Jan 1955 issue of Modern Screen Magazine is chock-a-block full of classic celebrities, and would make a great addition to any class movie collection. 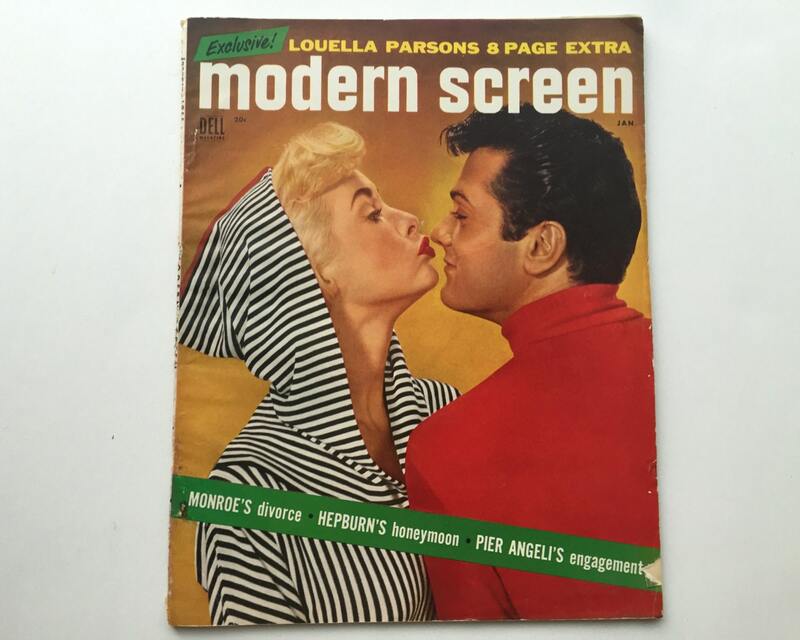 The cover features the gorgeous Tony Curtis and his lovely wife Janet Leigh (pre-Psycho), and there is an article about them inside, as well as a sad story of Marilyn Monroe's breakup from Joe Dimaggio. 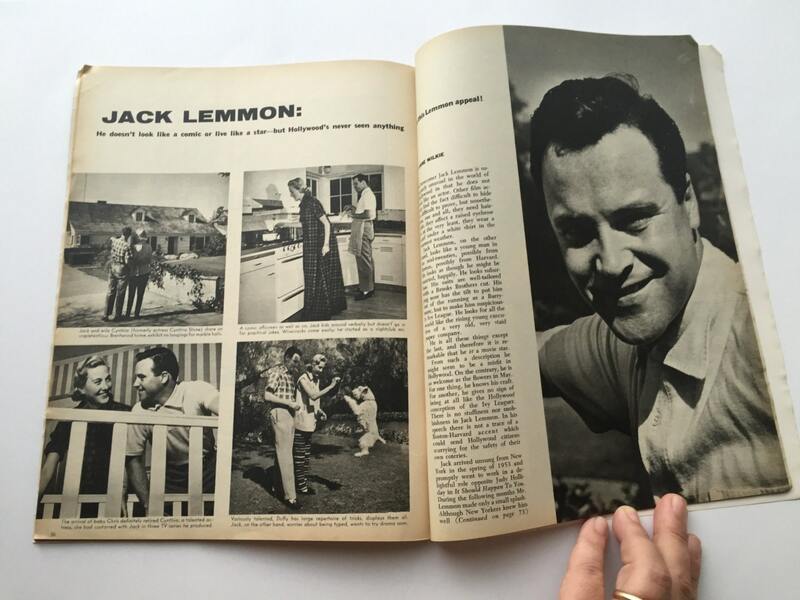 Plus articles on John Wayne, Audrey Hepburn, Jack Lemmon, and Jimmy Stewart - plus MORE! Modern Screen featured celebrity articles, interviews, gossip and photo features. 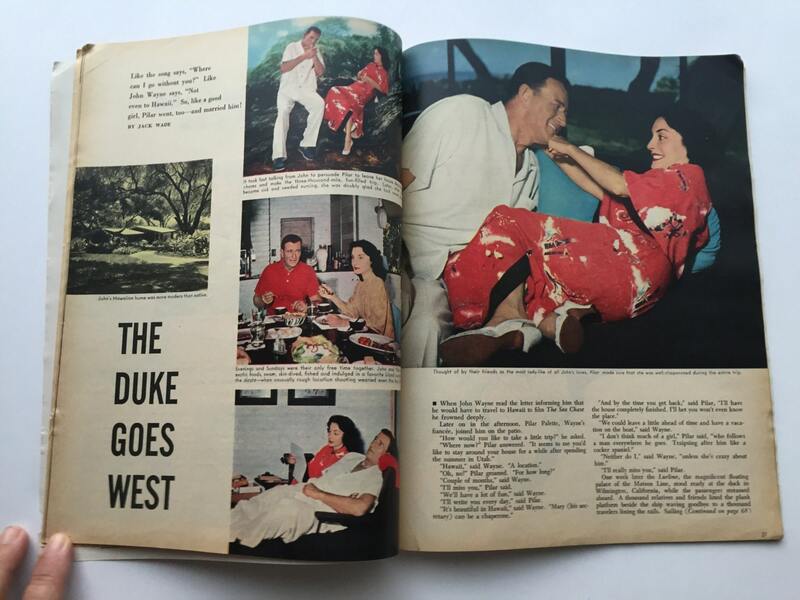 It rivaled Photoplay for popularity. It also had gossip by the infamous Louella Parsons, Queen of Hollywood (until her rivalry with Hedda Hoppr), where she viewed herself as the arbiter of morals. She could ruin a movie at the box office, or send a star spiraling out of favor! 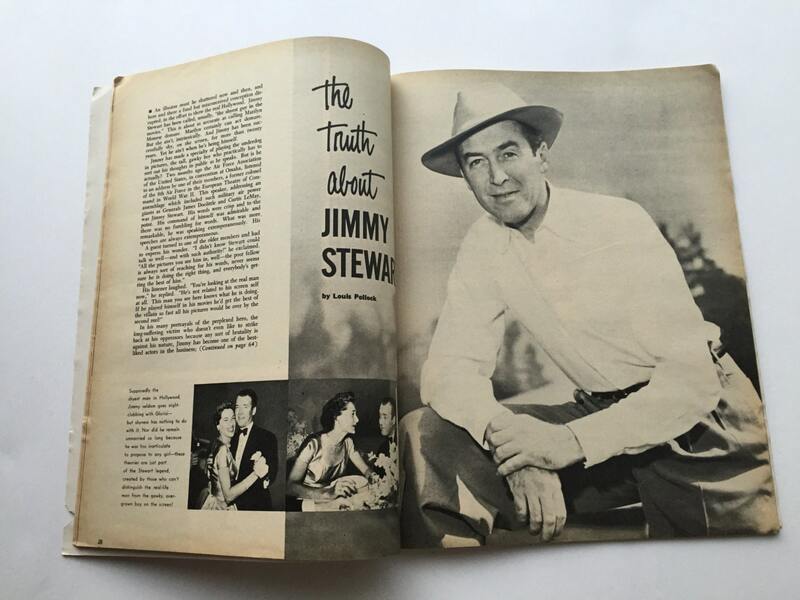 This Golden Age Hollywood magazine ran from the thirties through eighties. Sadly many of these classic movie magazines were mutilated for their covers and movie ads. This magazine is intact. CONDITION: Very good with some slight wear on the bottom spine, and light creasing. I do not keep any private information on my buyers, nor do I contact them after the transaction is completed, except on Etsy when requested by the buyer. I only use name and addresses to fulfill the order. I have no control over what third party mailing services do with the info.